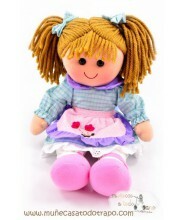 > Rag Dolls>Waldorf Dolls>Rag doll Waldorf - Lina with blue flowers - 35 cm. 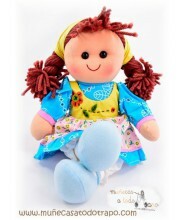 Rag doll Waldorf - Lina with blue flowers - 35 cm. 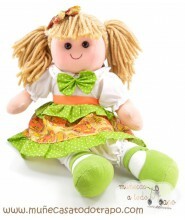 Traditional rag doll waldorf type. 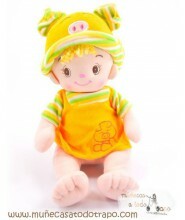 squishy dolls in a lot of colors, with eyes, nose and mouth embroidered without small parts. 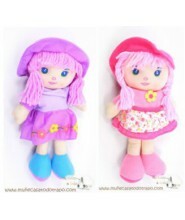 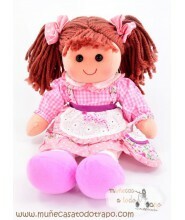 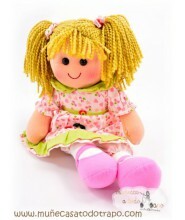 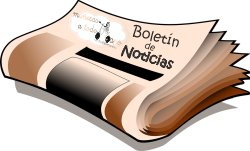 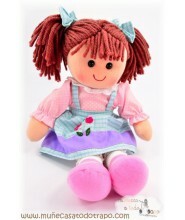 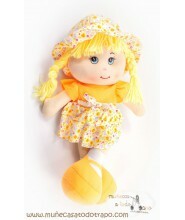 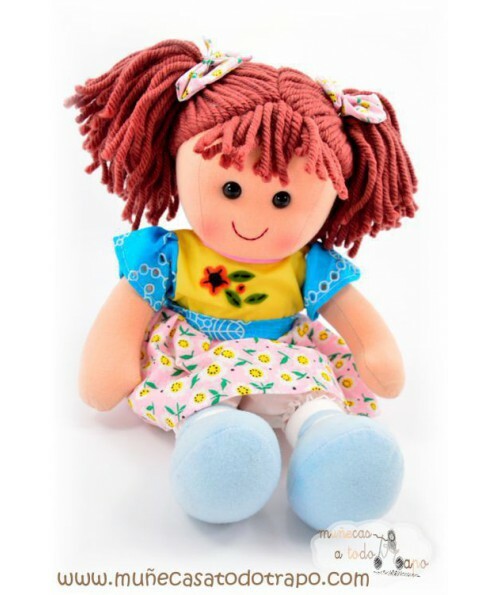 In Muñecas a todo trapo online rag doll store, you can buy original dolls for every member of the your family. 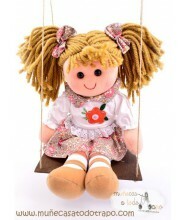 Ideal both to play, to decorate the room of the kids. 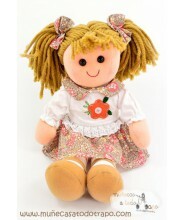 A perfect gift for first communion, birthdays and other celebrations. 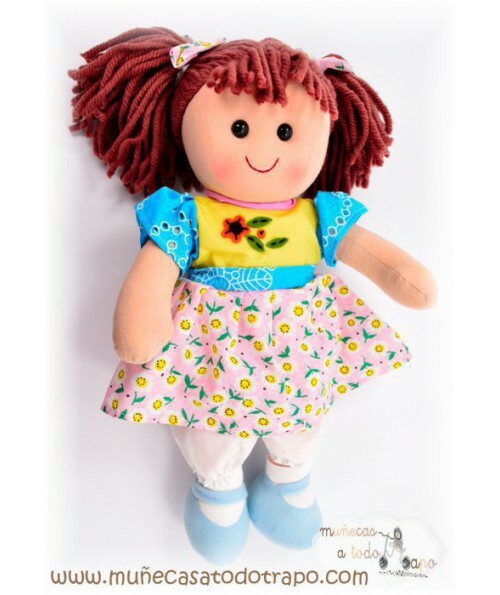 A doll for a lifetime. 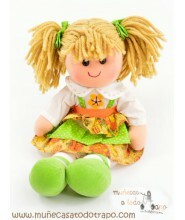 Waldorf traditional rag doll type. 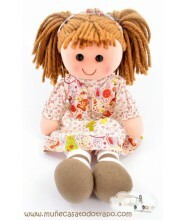 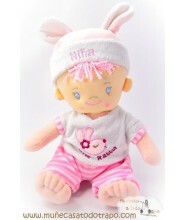 Soft dolls in nice colors, with eyes, nose and mouth embroidered without small parts. 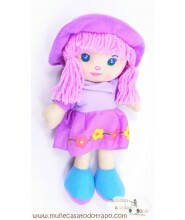 I'm Luga which means: Ray of Light. 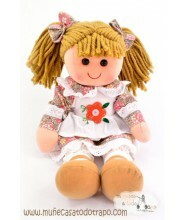 In the online shop of Muñecas a todo trapo you can buy original dolls to give tenderness to children and adults. 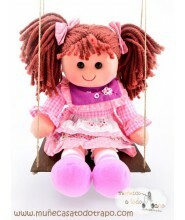 Ideal both to play and decorate the room of the kids.